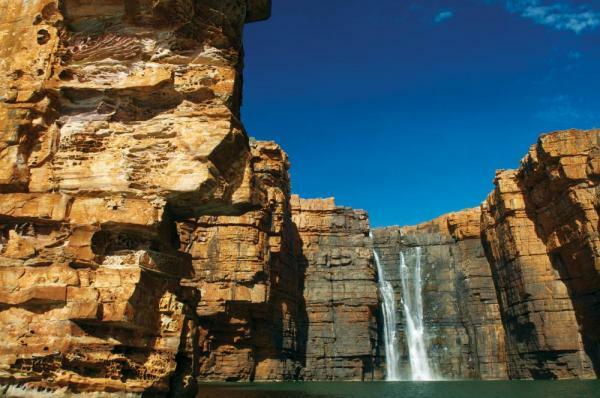 Discover the wild coast of Kimberly on this 13-day Australia exploration! Begin in Broome and set sail on a voyage to the Outback, stopping to explore the Lacepede Islands, Buccaneer Archipelago, Bigge Island, and more! During numerous excursions throughout this Western Australia tour, travelers enjoy striking scenery and unusual wildlife — by boat, Zodiac, and helicopter explore the region’s hidden treasures — narrow gorges, shallow tributaries, and cascading waterfalls. 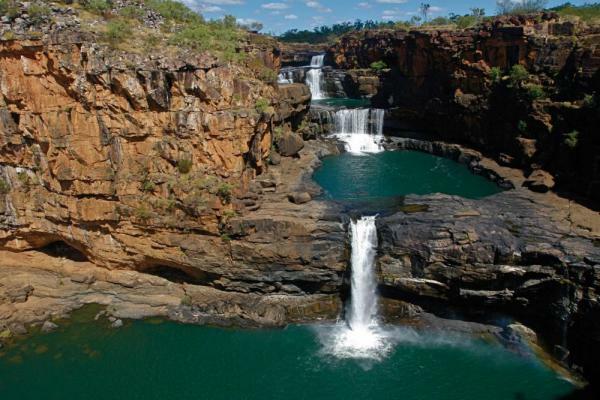 Gaze upon the dramatic gorges and pools of Mitchell Falls, search for an astonishing variety of wildlife in the Prince Regent Nature Reserve, discover desert-scapes dotted with bizarre boab trees, and photograph the sublimely beautiful isles of the Buccaneer Archipelago. Arrive in Broome, Australia, and enjoy an afternoon at your leisure. In the evening, gather for a welcome dinner and overnight at the Cable Beach Club Resort. 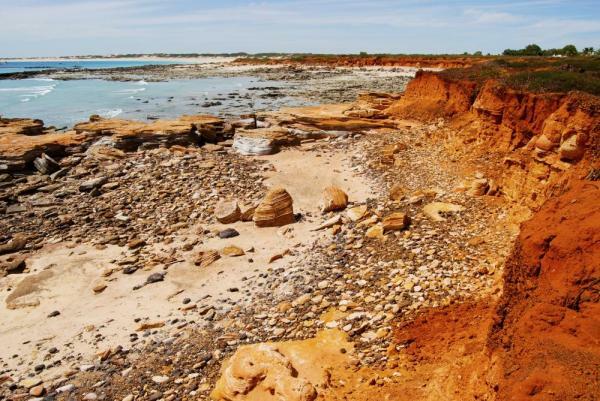 In the morning, explore Broome, a popular holiday destination graced with beautiful beaches and a laid-back atmosphere. Join a city tour that reveals Broome's pearling history and multicultural past, or join a birding tour. In the afternoon, board the Coral Discoverer and set sail. The Lacepede Islands are a group of four low, sandy islands lying on a coral reef. The islands are an important nesting site for green sea turtles and several species of seabirds including frigatebirds, brown boobies, crested terns, sandpipers, and ruddy turnstones. Join naturalists on nature walks along the long, white-sand beaches. Be on deck in the evening as the sun sets and the night sky comes alive, far from the city lights - stargazing in the Kimberley is simply spectacular. The Buccaneer Archipelago consists of more than 800 islands. The shorelines of these rarely-visited isles are among the most photogenic in the world, and include mangrove estuaries, secluded bays, untouched beaches, cliffs, headlands, reefs, rugged gorges, and whirlpools. This area is known for its extreme tidal conditions— ranging up to 30 feet in places. Your daily activities are planned around the tides, a way of life in the Kimberley. At Talbot Bay visit the Horizontal Waterfalls, one of the most unusual regional attractions. The falls, created by a phenomenon resulting from the mammoth tides, actually reverse as the tide turns. At Montgomery Reef, view the amazing array of marine life exposed at low tide. The reef is home to an incredible number of green sea turtles and sharks are sometimes spotted in the surrounding waters. At Raft Point, join a bush walk to learn the traditions of Worrorra people and view ancient Aboriginal cave paintings of outstanding quality depicting the significance of the marine world to the Aboriginal way of life. The Prince Regent Nature Reserve is one of Australia’s most remote areas, and the rugged sandstone and volcanic landscape helps to protect its scenic grandeur. This is pure wilderness, accessible only by air or boat, and you can truly say that you have been to a place seen by few others. 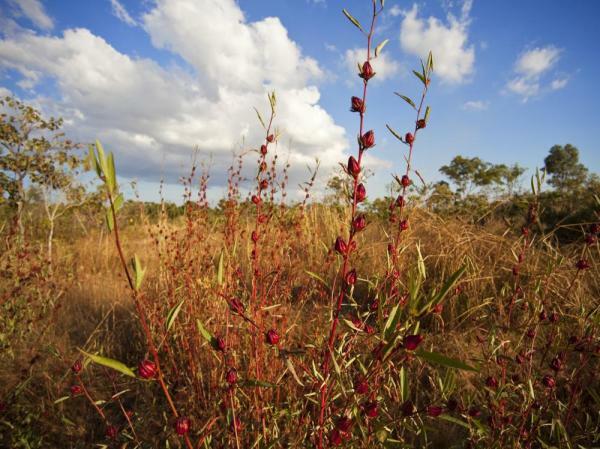 The area boasts more than half of the mammal and bird species found in the entire Kimberley region and more than 500 species of plants. With the ship at anchor in St. George Basin, board Zodiacs to cruise up the Prince Regent River. With near-vertical cliffs on either side, make your way to the face of King Cascade, an unusual and picturesque waterfall cascading over terraced rock formations. Tidal conditions permitting, explore nearby Camp Creek in search of local fauna such as estuarine crocodiles, red-tailed black cockatoos, and galahs. At Careening Bay visit a large boab tree with the inscription “H.M.C. Mermaid – 1820” still clearly visible. The Mermaid was a British Navy hydrographic survey ship under the command of Lt. Philip Parke King, who stayed at the bay for six weeks while repairing his ship. 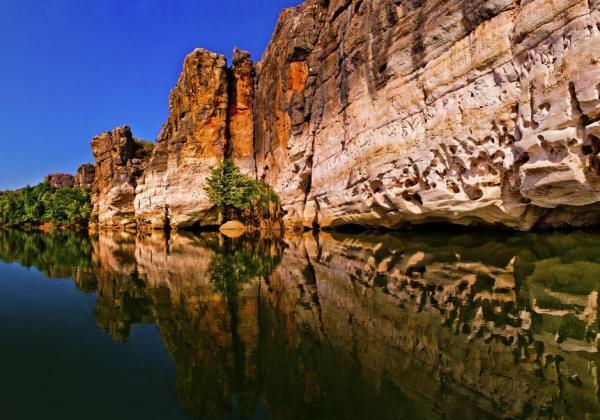 From Hunter River, fly via helicopter to the Mitchell Plateau to visit Mitchell Falls, a series of waterfalls and pools culminating in a deep gorge carving its way through the Outback. Explore the surrounding area on foot and enjoy a refreshing swim in the rushing freshwater pools. In the vicinity of your anchorage, you may explore the small tributaries by Zodiac, searching the mangroves and tidal mud flats for crocodiles, mud skippers, and fiddler crabs, as well as the many bird species that make their home within the dense vegetation. A unique experience awaits you on Bigge Island, sacred to Aborigines for more than 20,000 years. Well-preserved Aboriginal paintings grace the walls of caves, depicting mythical figures and offering visual evidence of the European entrance into the Aboriginal way of life. Warabis, or rock wallaby (the smallest of the wallabies), are numerous on this island and can often be seen sprinting from one rock ledge to another. In the afternoon step ashore on a tiny island atoll known as Low Rocks. 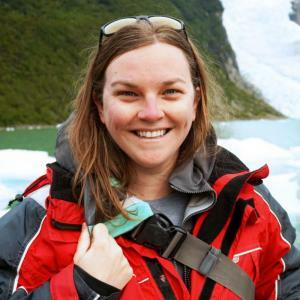 As Zodiacs approach, the skies fill with the movements and sounds of thousands upon thousands of seabirds, including four species of terns, pied cormorants, white-bellied sea eagles, and osprey. The island is also a nesting site for green and flatback turtles, and has its own resident saltwater crocodile, often seen patrolling the waters around the island. Permission pending, go ashore on the Tiwis and join local Aboriginal guides for a tour of the small community of Nguiu, its museum, and the old Mission Precinct. Visit the local arts center to view and purchase high-quality Tiwi crafts, as well as screen-printed fabric. Disembark in Darwin with time for a bit of sightseeing. Transfer to the airport for your independent flight to Sydney with dinner and overnight at your included hotel. Board your independent homeward flight in Sydney. The 65-passenger Coral Discoverer (formerly the Oceanic Discoverer) was introduced to the world of sailing vessels in 2005. Her sleek, small size makes her ideal for regional exploration and navigating through channels and fjords. Staterooms are 195 sq. feet and feature two portholes, two twin beds or a double bed, a sitting area, a well-appointed en suite bathroom, large closets, desk, and individually controlled air-conditioning. Staterooms are 195 sq. feet and feature two small windows, two twin beds or a double bed, a sitting area, a well-appointed en suite bathroom, large closets, desk, and individually controlled air-conditioning. Staterooms are 160 sq. ft and feature a large window, two twin beds or a double bed, a sitting area, a well-appointed en suite bathroom, large closets, desk, and individually controlled air-conditioning. Staterooms are 195 sq. feet and feature a large window, two twin beds or a double bed, a sitting area, a well-appointed en suite bathroom, large closets, desk, and individually controlled air-conditioning. - Singles may be available at 1.6 times the share rate. For most activities, a moderate level of exertion is required. You will need to climb into and out of Zodiacs for excursions ashore. Ashore, you must be able to walk one to three miles, unaided, over sometimes rough terrain. There will be opportunities for leisurely strolls and more active hikes. This expedition is timed during the beginning of the dry season, and occasional showers can be expected. Average daily temperatures will range from the low 80s°F to the low 90s°F, though high humidity can make it seem warmer.